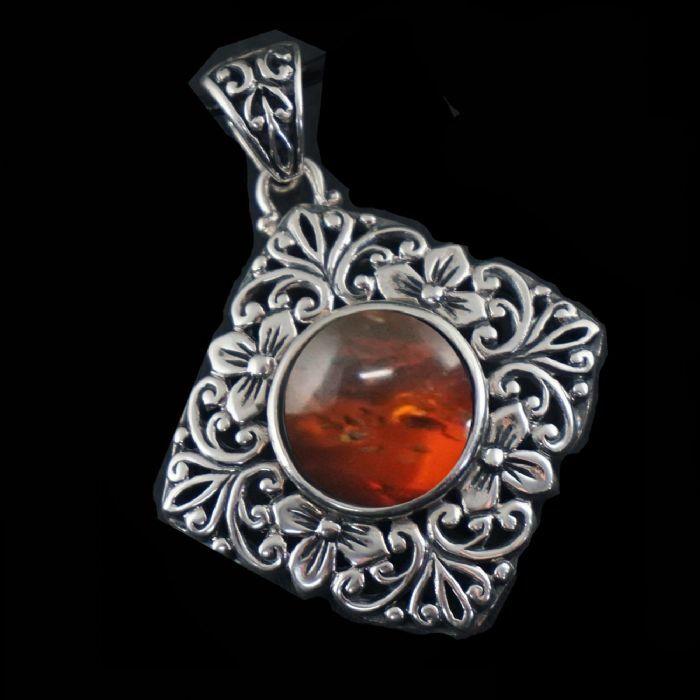 Amber Style 925 Sterling Silver Filigand Handmade Art . It helps acquire mental clarity and sharpen intellectual thinking. Its warmth can dissolve sadness and inflexibility. Great for treating your thyroid, and good for alleviating pain. AMBAR Worn as a necklace, it protects against the Evil Eye. Amber draws others to you, making them seek your company. It also attracts success, money and good health, by absorbing the pain or the illness from your body and helping it heal itself. Especially good for joint problems.